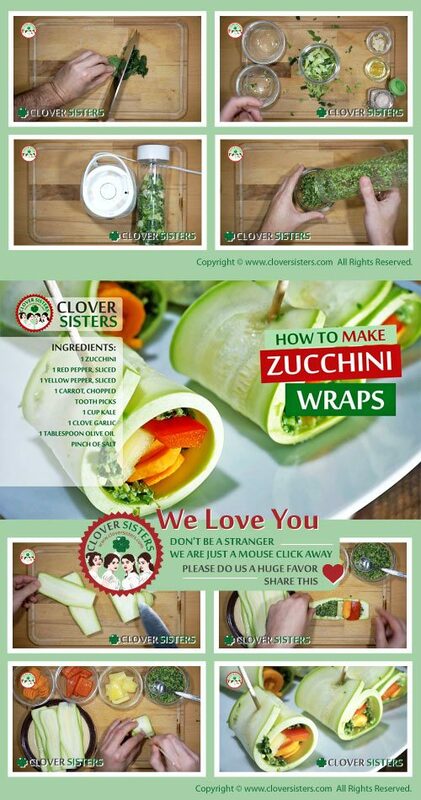 This healthful wraps made of row vegetables, full of tastes of summer, can be served as starter or salad. However it’s served, it will brighten the table and make vegetables to look better in the eyes of children. Take pieces of the vegetables, lay on the zucchini slice. 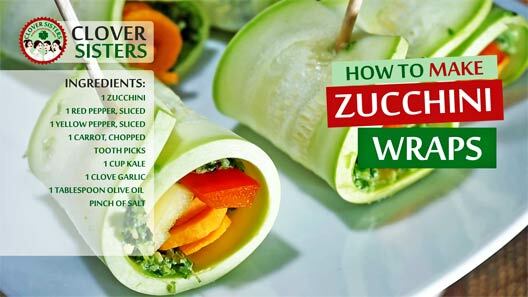 Roll up the zucchini with vegetables inside. Use toothpick to hold all together.